PowerPanel 5.4-G 47.8MB This is the software to be used for G2 panels and Q2 panels. 10F54 180 Series 536KB The PMD 180 is a compact message display that can be interfaced to a name brand PLC through the PLC’s program loader port. With the PMD 180, you will also receive programming software that you install on an IBM (or compatible) computer. Use the software to program messages online or offline, set up the computer’s communication parameters, and load the PLC driver information into the PMD. 10F50 200 Series 316KB Using this software, PMD 200 can be programmed using any ACSII terminal or personal computer with an RS232-C interface. The PMD 200 can be interfaced to a printer either to print the entire program or to print individual messages as they are selected. uWIN is a comprehensive graphics and interface program, for use with Windows 3.1 and higher, that allows you to program the Power Panel. The software is used to download your configuration before connecting the panel and communicating with a PLC. Help Topics are provided to help you configure your panel. 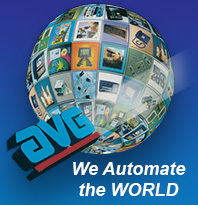 You design and configure your Panel program off-line and save it to disk. The program may then be transferred to the PowerText Panel. Power Marquee P3000 46MB This software is used to configure a Message Project for Power Marquees. You will install this software to run from an IBM or compatible computer. The Power Marquee can be configured on-line or off-line. You can add or edit messages, embed up to 4 data values, and set the Triggers for each message. Touch PRLS 1.2 3.1KB Touch PRLS programming software is a user friendly Windows based program that allows you to program the Touch PRLS. You would be able to configure the Touch PRLS using the Touch PRLS programming software and Power Panel programming software version 4.0 or Later. uWin 08 2.2 56MB This programming software makes panel configuration and testing simple. Easy-to-use Windows-based menus and toolbars lead you through building a project. Run-time (online) editing makes debugging fast. Supports 50+ enhancements. Includes all functionality (including saving projects) except downloading to panels. uWin 08 1.7 46.2MB This programming software makes panel configuration and testing simple. Easy-to-use Windows-based menus and toolbars lead you through building a project. Run-time (online) editing makes debugging fast. Supports 50+ enhancements. Includes all functionality (including saving projects) except downloading to panels. UTPLC 1.7 20.8MB PLC Editor has Windows type Folder organization for Quick EZ Search just like RSLogix and other high end programming software that costs thousands of dollars. The UTPLC Editor has a structured programming software. You do not have to scroll through literally hundreds of rungs to find your I/O mapping, subroutines or interrupts. We have also incorporated Advance math Instruction with this version. uWin 08 2.2 56MB The Latest Editor upgrade for the uWin 08 family. Must have a full version of uWin Editor indtalled. uWin 08 1.7 46.2MB Must have a full version of uWin Editor indtalled. UTPLC 1.7 20.8MB The latest Editor upgrade for the UTPLC family. Must have a previous full version of UTPLC Editor installed. UTNVC 1.1.11 7.64MB The latest Editor upgrade for the UTNVC. Must have a previous full version of UTNVC Editor installed. Tough marquee N 265KB Firmware for Uticor Tough Marquee. 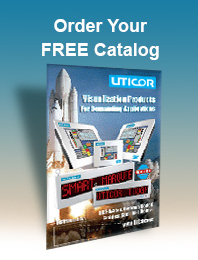 UTNVC 1.0.2 48KB Firmware for UT-NVC software for Uticor Tough Panel. UTPLC D.16.1 282KB Latest Firmware for Uticor PLC. UTPLC Jr. C.10.1 144KB Latest Firmware for Uticor PLC Jr. SE Series I.17.102 725KB Note:This Firmware applies only to SE series of Panels and should NEVER be upgraded to Tough Panel or Uticor Tough Panel Jr (4"). File Manager 1.0.3 1.04MB NVC file manager will read back data collection files from SD card without removing the card.